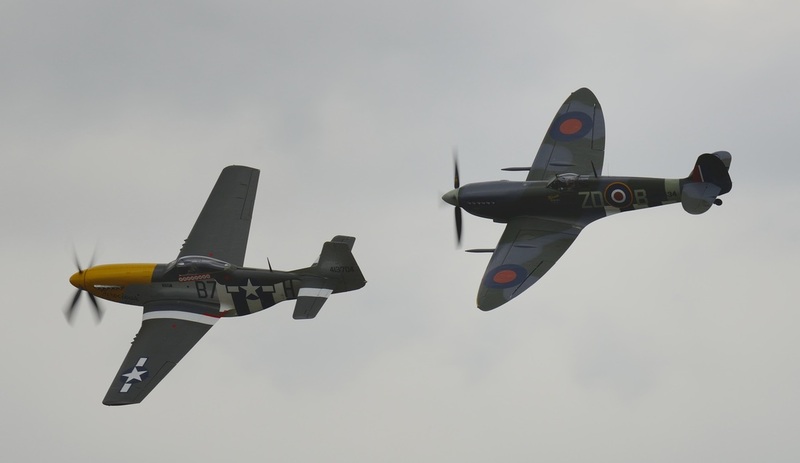 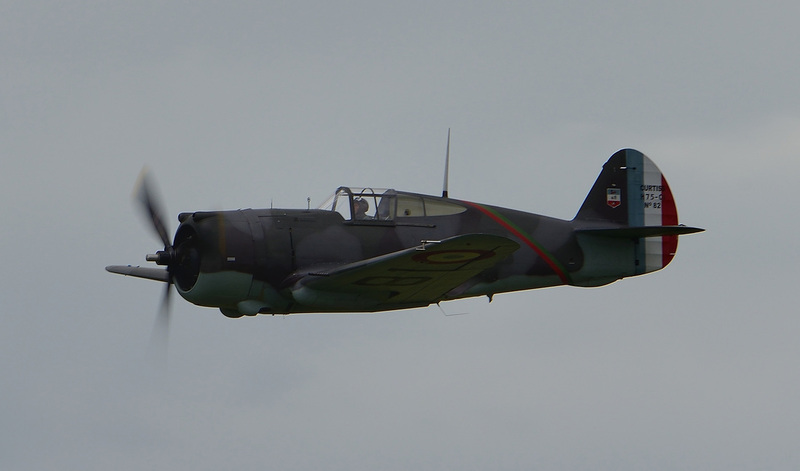 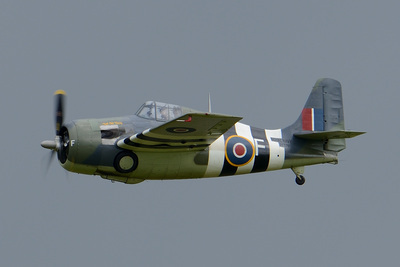 Duxford's opening airshow of 2014 remembered the 70th anniversary of the D-Day landings in June 1944. 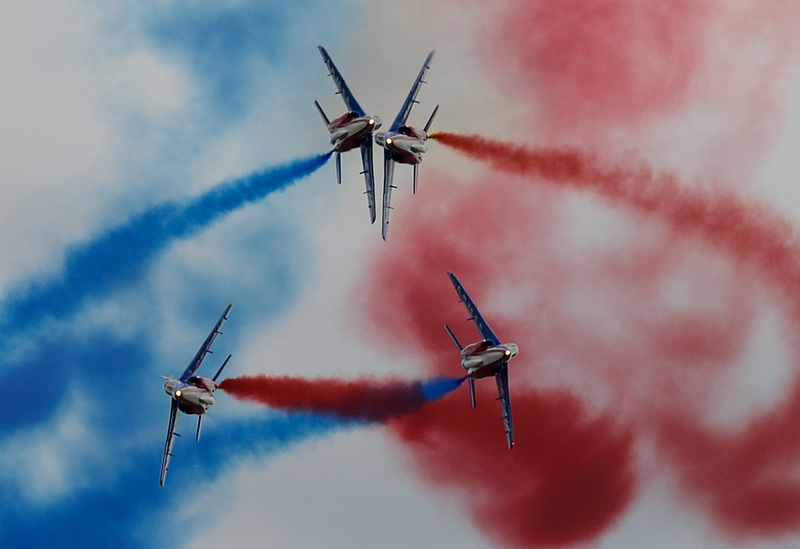 Against a dark sky with the threat of heavy showers, the show opened with a display by France's Patrouille de France. 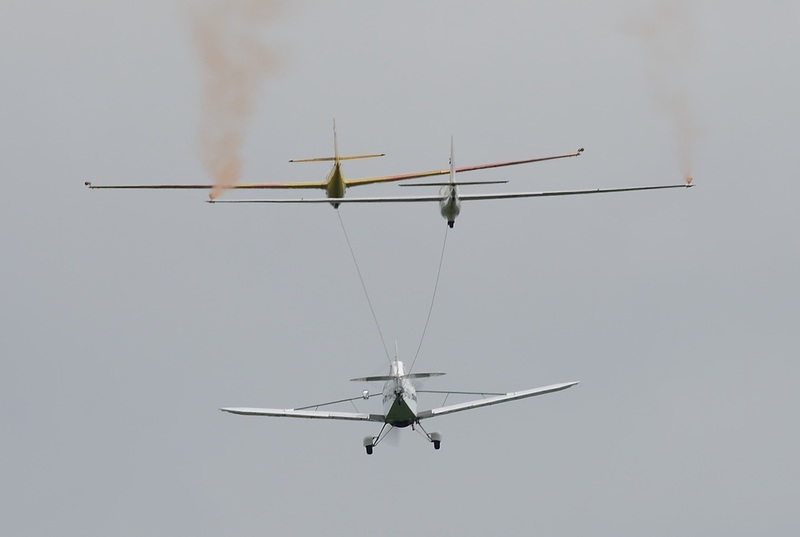 After the noise and spectacle of the Patrouille de France, the pace slowed with a number of gliders displaying. 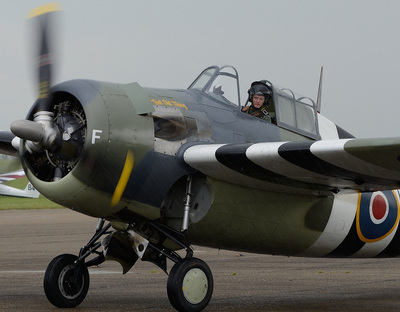 This set piece was designed to show the part gliders played in the invasion of France in 1944. 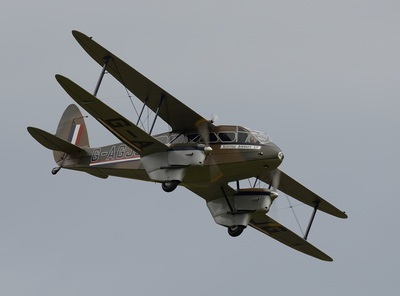 With no period gliders of the time available, namely the Horsa and Hamilcar, the display was made up of privately owned civilian aircraft. The Battle Of Britain Memorial Flight display consisted of Douglas Dakota C.3 ZA947 Kwicherbichen and Spitfire PR XIX PM631. The Dakota represented the aircraft that were used for parachute dropping on D-Day and the PR XIX, the role of photo reconnaissance before, during and after the Invasion. 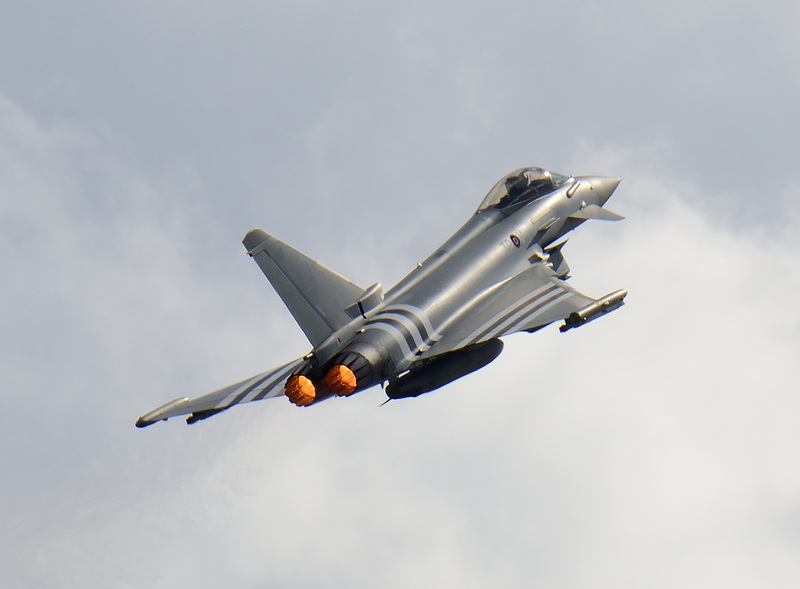 Next up was the brute force of the RAF's Typhoon display. 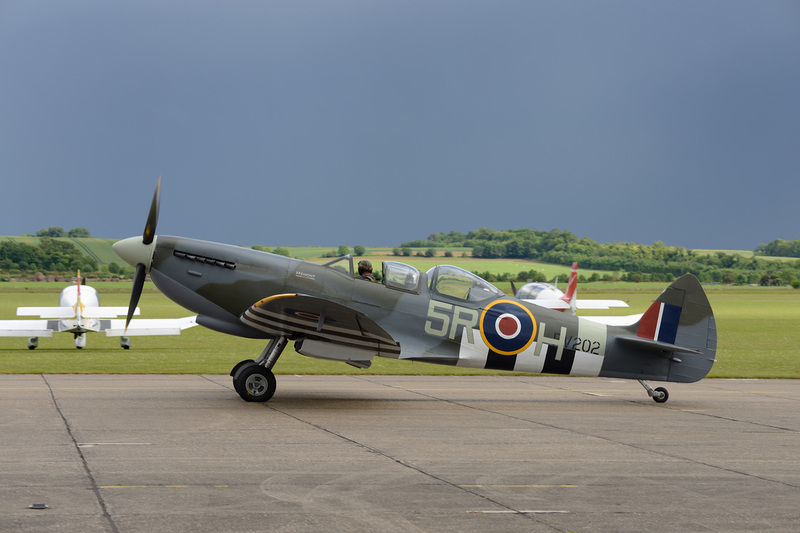 The display was intended to be paired with the BBMF's Spitfire PR XIX PM631, however, operational reasons precluded this for the Saturday display. 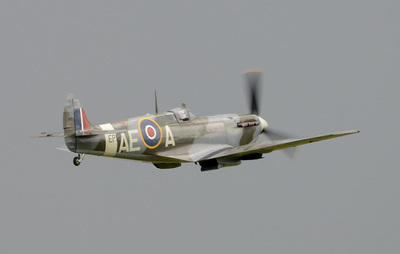 Eurofighter Typhoon FGR.4 ZK308 of No 29 (R) Squadron from RAF Coningsby, suitably adorned in D-Day Invasion Stripes, filled the surrounding countryside with the sound of twin EJ200's turbofans in full reheat. A nice touch also was the marking of the Typhoon with the lettering used by Hawker Typhoon MN526 ‘TP-V’ which flew with 198 Squadron. 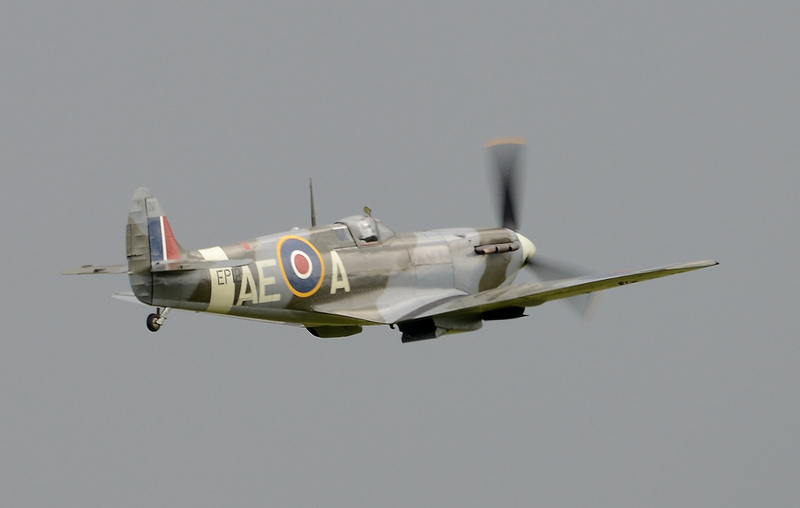 The Typhoon flew missions in support of the Allied landings in Normandy on D-Day. A bit of quiet returned to the airfield with the next display item. 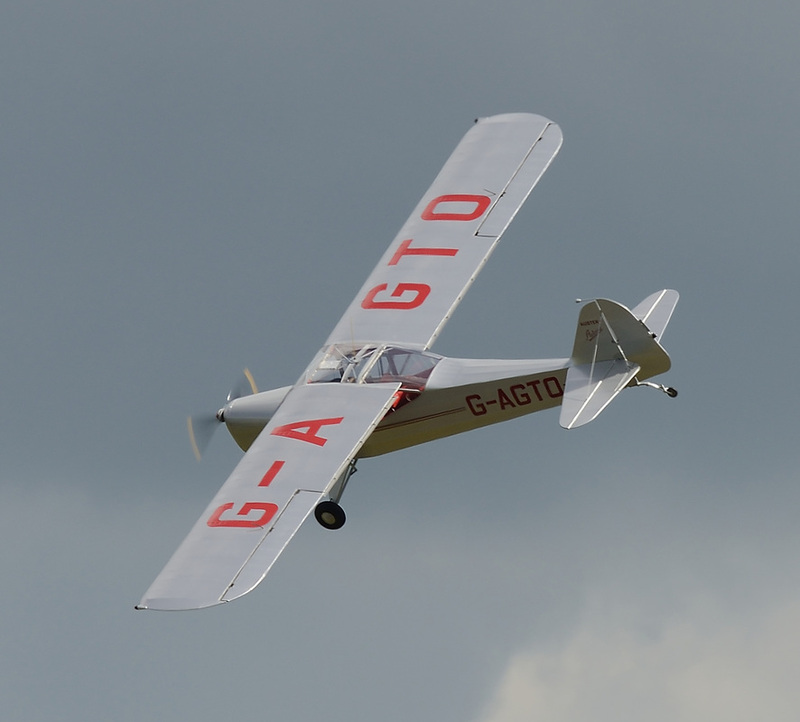 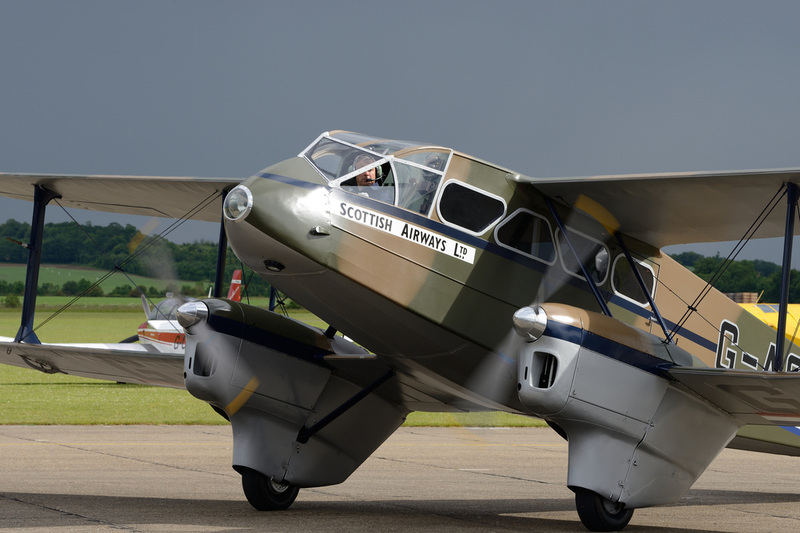 In memory of the part light aircraft played in the invasion, a display took place using Auster J/1 Autocrat, G-AGTO and Piper L-4 Grasshopper 57-G. 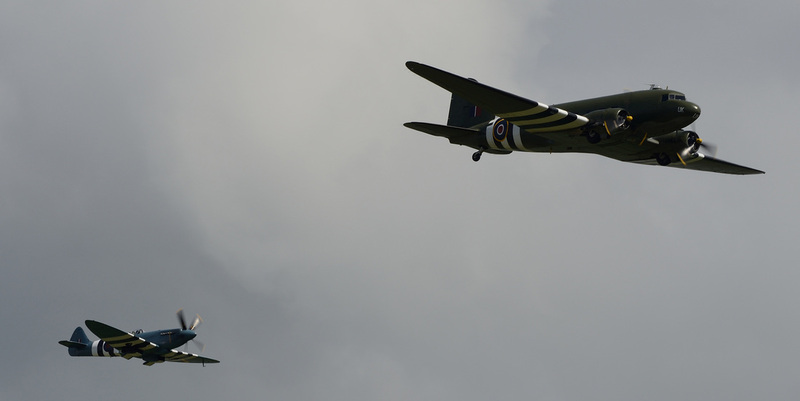 The RAF paid their respects to the D-Day event with a flypast by Lockheed C-130J Hercules C.4 ZH872 from No 47 Squadron RAF Brize Norton. 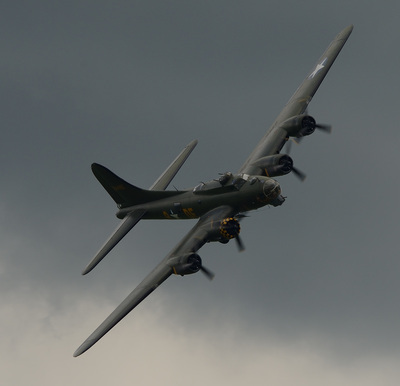 The finale of the show was a parachute drop by Douglas C.47 Skytrains. 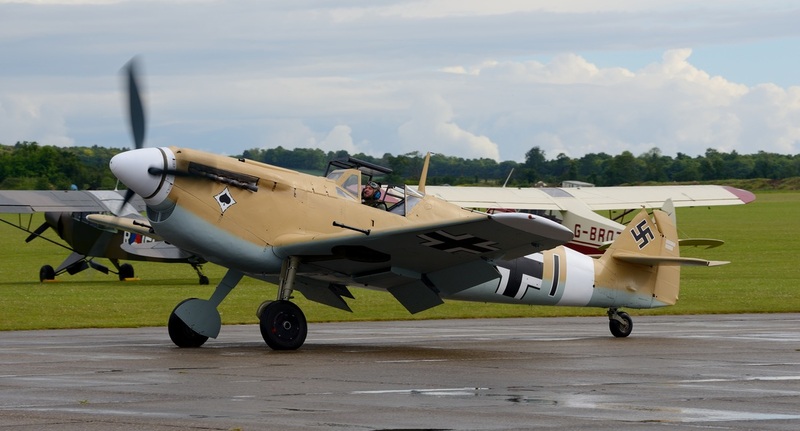 The aircraft taking part were, ‘Whiskey 7’ 330652/N345AB from the National Warplane Museum at Geneseo, New York, Tradewind Aviation's ‘Union Jack Dak’ 224064/N74589 which had both made the journey from the States for the event and others planned around the UK and Europe. 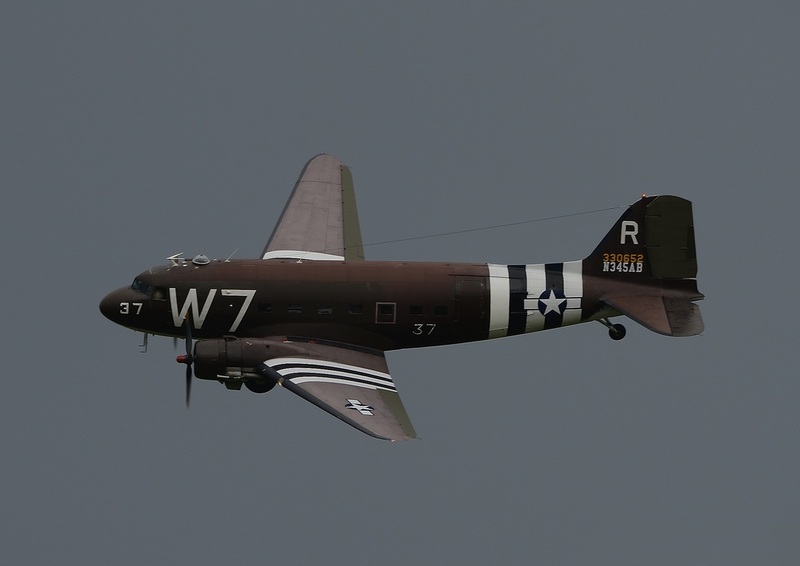 Also taking part were C-47s of Aces High 2100884/N147DC from Dunsfold and Dakota Heritage Drag ‘em oot 2100882/N473DC from East Kirkby. Whiskey 7 performed a number of flypasts whilst the other aircraft climbed for height. 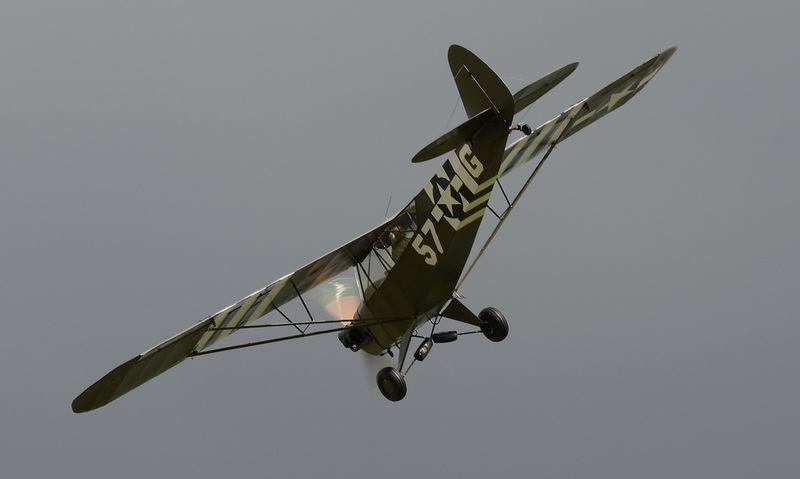 It was interesting that the weather on the day looked like it was going to interfere with the smooth running of the show. This was very similar to events on D-Day where the weather nearly postponed the invasion. It was fortunate in both cases that things worked out well especially in the case of the latter.